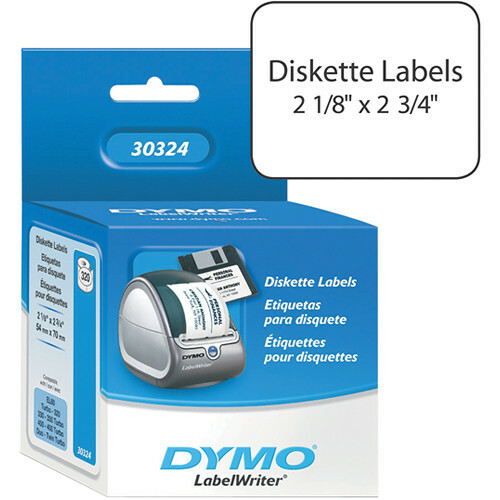 The LabelWriter White 3.5" Diskette Labels (2-1/8" x 2-3/4") from Dymo allows you to just print, peel and stick the die-cut adhesive labels to 3.5" diskettes. One roll is included, with 320 2-1/8" x 2-3/4" labels. Organize your media and see easily what you stored, burned or saved with these specially designed media labels. Box Dimensions (LxWxH) 4.95 x 3.65 x 2.75"